If you're in between sizes and have a full cup size (D+), please order up. The fabric is stretchy. 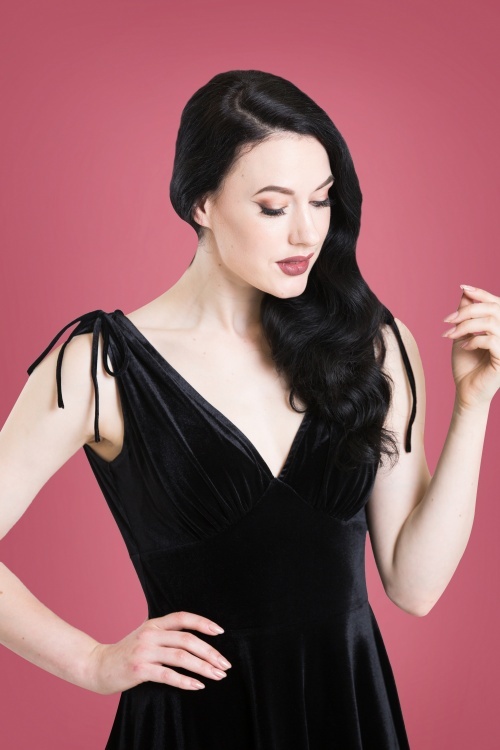 We are sure you will have a wonderful evening every time you wear this 50s Melina Velvet Swing Dress in Black! Featuring a deep V-neckline, elegant pleats at the bust and this sleeveless beauty with its flowy swing style is finished off with playful bow detailing on the shoulder straps. 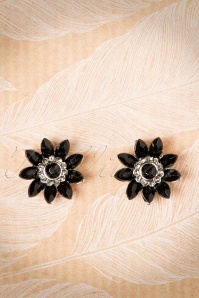 Made of a soft, supple and stretchy, velvet fabric in black that is a joy to wear. Don’t forget to order some dancing shoes while you’re at it: you will need them when you’re wearing this party dress! Hits at the knee at a height of 1.70m / 5'7"